Too bad it's probably not going to happen. Here's why. We’ve already declared the current generation 467 hp Lexus GS-F as the underrated V8 hot rod we never thought Japan would build. We were delighted to be proved wrong, but sadly it's not selling so well. One main reason, we believe, is its lack of output when compared to the competition. 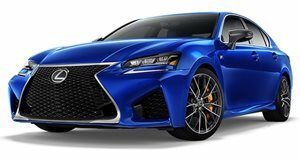 Fortunately, Japanese language magazine Best Car has learned that Lexus is not only planning a new GS F, but also a much more powerful one. Supposedly, Lexus will utilize a twin-turbo 4.0-liter V8 with more than 590 hp and 500 lb-ft of torque. This same engine may also find its way into a high performance version of the LC grand tourer at some point, although nothing’s official just yet. Previously, we heard a rumor that the rear-drive, BMW 5 Series fighting GS would be axed entirely once the current generation runs its course. 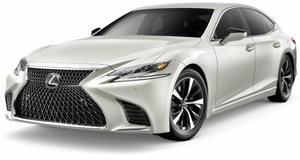 Reason being was not only mediocre sales, but also due to Lexus wanting to focus the spotlight entirely on its new LS flagship sedan. Assuming this latest rumor to be true, then Lexus has backtracked on that previous plan. Unfortunately, we’re skeptical about the chances of another GS. The logic is simple: global sedan sales are slowing down and will continue to do so because of crossover demand. Lexus has four sedans at the moment, and it clearly doesn’t need all of them going forward. The entry-level ES still remains popular, while the IS serves honorably as a 3 Series fighter. The LS is needed to combat the 7 Series. 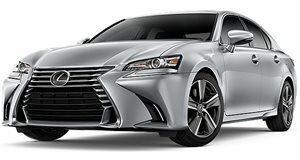 That leaves the mid-size GS, the weakest link in the Lexus sedan lineup. There’s a decent enough likelihood Lexus will properly upgrade the next ES to handle GS duties as well. Just our theory, and it’s one that allows Lexus to free up cash for future crossover development. 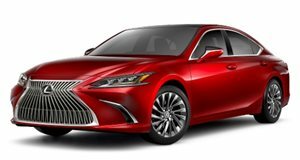 The 2019 Lexus ES puts on a show in Nashville.